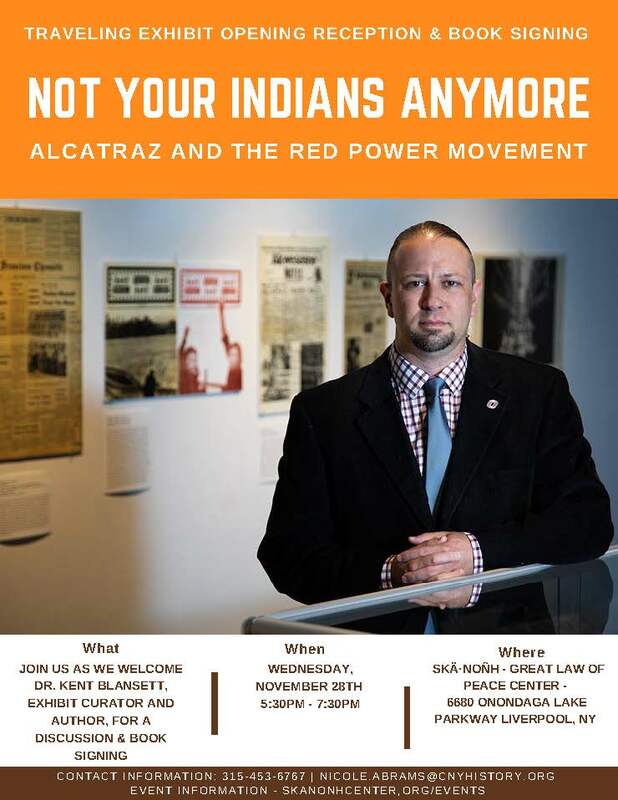 Meet Curator Dr. Kent Blansett and learn about his latest book, which is the first published biography of Richard Oakes, entitled: A Journey to Freedom: Richard Oakes, Alcatraz, and the Red Power Movement. Dr. Kent Blansett is a Native scholar and an assistant professor of History and Native American Studies at the University of Nebraska in Omaha. His exhibit is a political and historical biography on the early Red Power activist, Richard Oakes - a Mohawk ironworker from Akwesasne, NY, who became politically active in the late 1960’s in San Francisco. Oakes led the symbolic occupation of Alcatraz that gained national attention for Native issues and heralded the coming Red Power movement. The exhibit contains a number of archival photographs, newspapers, and broadsides from the occupation and the Red Power Movement, as well as a film loop of footage taken during the occupation of Alcatraz. During the opening night through Sunday, January 20, 2019, there will be a raffle of various photographs that were taken during the occupation of Alcatraz.